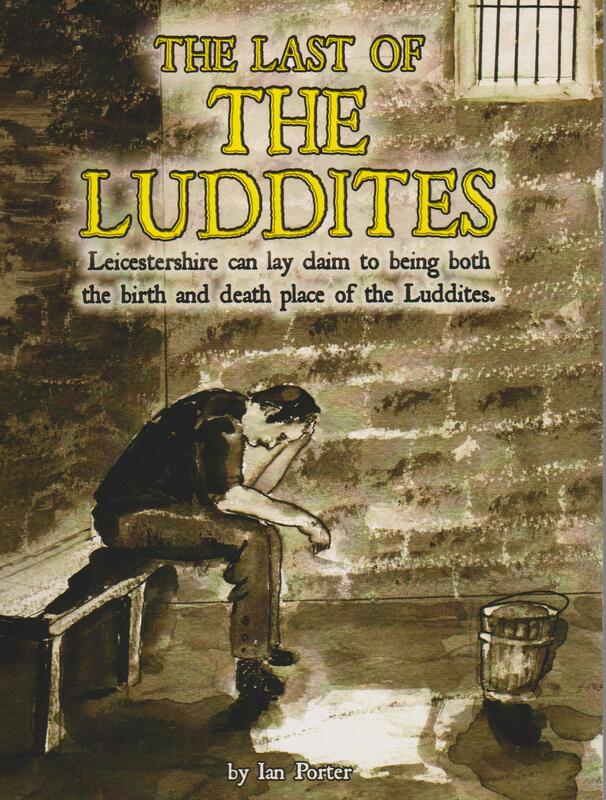 On Thursday, 2nd June 2016 at Loughborough Library, the exhibition Lace and Luddism opened to commemorate the 200th anniversary of the Luddite attack on Heathcoat and Boden’s mill premises in Loughborough. On 28th June 1816 sixteen men from Nottingham had been paid to destroy Heathcoat and Boden’s knitting frames. The exhibition will feature examples of the axes, hammers and hatchets that were used. A replica gallows of Leicester’s “New Drop” – where seven of the men were hung – will be on display. For the first time proof will be displayed that Ned Ludd really did exist and not just as the mythical leader of the Luddite movement. Rare books, maps, examples of the type of lace produced at the time and a painting of the Luddites in action will be on show. Also featured will be the story of those workers who chose to remain as employees of Heathcoat and Boden and walked all the way from Loughborough down to Tiverton in Devon. The exhibition will run from the beginning of June to the end of July 2016. 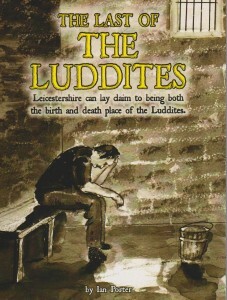 As part of Loughborough’s birthday celebrations, on Saturday 25th June 2016 in Queen’s Park, Loughborough, there will be a “Ludd Hub” stand where, during the afternoon, a series of Luddite-themed events are planned. The Sherwood Lads will be performing music from the period and a reading of the last words of the men caught and condemned will be given. Lord Byron will make an appearance to recite his maiden speech to the House of Lords, lamenting the utter misery that prevailed among the framework knitters of the Midlands. Come and see lace being made and take the town’s Luddite trail. A free handout explaining the story of Loughborough’s lace-making heritage and its destruction by the Luddites will be available. Two publications, The Lace Makers Story and The Last of the Luddites, will be available for purchase, with a chance to meet the authors. Visitors are encouraged to come dressed in the costume of the time. Take part in the first leg of the re-enactment of the loyal workers’ march to Tiverton in Devon. The ceremonial start to the walk will be conducted by present day descendants of the mill owners John Heathcoat and John Boden. The core group of walkers planning to repeat the walk, are aiming to reach Tiverton within 14 days. The Ludd Hub is presented by Loughborough Library Local Studies Volunteers in collaboration with Loughborough University’s Department of Politics, History and International Relations.